DRAG RACING: Decades after it was constructed by volunteers, Carnell Raceway is still proving to be a lure for rev heads far and wide. On Sunday dozens of cars took part in the "shoot-out”- style race meet on the eight-mile track. 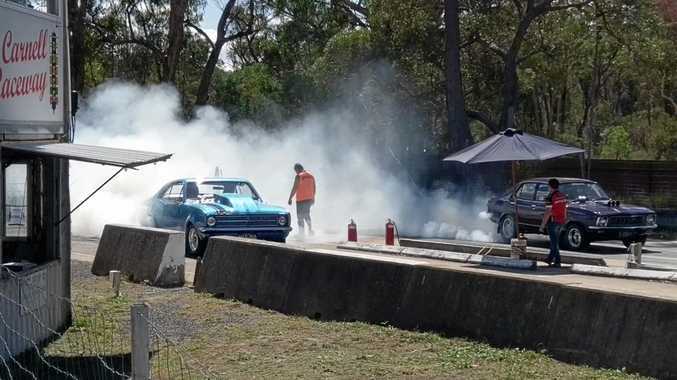 "We had a tad over 30 competitors come along to race on the day,” Stanthorpe and District Sporting Car Club president Ian Rigg said. "Had a couple newcomers come out and try it for the first time - local people. They seemed to have a good time once they got into it. "There's no reason anybody can't come out and give it a go. We'd certainly encourage anybody who wants to come out. They only meet a handful of times a year but Rigg said the track was popular with travellers. "There's not a lot of tracks outside of Warwick that are designated race tracks like ours is,” he said. "Some guys will travel two-and-a-half hours or more to go to a meet here. There's still quite a bit of interest right across the country in the sport. Testament to that, Inverell's Ben Reed, was the overall winner on Sunday. "We've go three more drag race meetings for the year,” Rigg said.